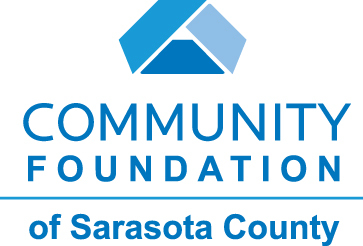 Thank you to the Community Foundation of Sarasota County for their support in bringing this job bank to our community. It is our pleasure to provide these job postings for your review and consideration. If you wish to post a position please submit them in a Word document. There is no limit to your submission, however, we will only print 1 paragraph and then include a link to the full document. If your job listing is posted on your website, please send that link as well so we can drive people to your website and information about your organization. 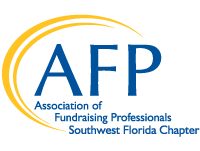 Job postings are forwarded to AFP chapters and nonprofit individuals, from Gainesville down to Ft. Myers. If you have a submission or have questions or concerns, please contact Kim Noyes in the AFP office at 941-921-5410 or email the posting directly to kim.afpswfl@gmail.com and it will be posted on our site. Your job posting may take up to 3 days to post and the posting will be removed after 30 days unless you renew it. Please contact us once the job is filled or no longer available. These nonprofit job postings are free of charge and available for all nonprofit organizations - AFP membership is not a requirement. The AFP Southwest Florida Chapter assumes no responsibility for accurate or timely postings. Scroll through the listings below. Each listing reflects a posting date. United Way of South Sarasota County is seeking new Leadership: The Executive Director is the leader of the organization, responsible for building and cultivating relationships with leaders in the community to enhance the reputation and impact of the United Way of South Sarasota County. The Executive Director shall possess a high level of broad business and management skills to effectively generate resources and financial support of the organization. Particular emphasis on the generation of new and diverse sources of revenue. The Executive Director is the Chief Mobilizer; leveraging the power of relationships and networks, and working across private, public and corporate sectors to improve conditions in the community. The position includes promoting a vision for Community Impact that is achieved through the efforts of a diverse team of high-performing leaders, staff and volunteers alike. The Executive Director is dedicated to shared and measurable goals for the common good – creating, resourcing, scaling and leveraging strategies for board investment and impact. The Executive Director is the steward of the brand and understands the role in growing and protecting the reputation of United Way. This stewardship includes responsibility for building trust in United Way and its relevance in the community. Hiring Range: Salary, benefits and incentives are negotiable based on experience. Education Requirement: Bachelor’s Degree or Equivalent Work Experience Experience Required: Applicants must provide explicit description of experience in all areas listed. Experience in building diverse and new sources of revenue and increasing philanthropic support. • Substantial experience working in the nonprofit sector (United Way experience is desirable) and interacting with volunteers and diverse boards. Alternately, extensive experience in the leadership and management of organizations or comparable size and mission. • Ability to command the confidence and respect of stakeholders. • Track record of promoting diversity and an ability to build collaboration with the community at large. • Track record in building an organizational culture that impowers and inspires break-through results. • Experience in or across sectors, including nonprofit, public and corporate environments. • Experience in developing partnerships, building teams and conflict management. We Care Manatee: The Executive Director maintains overall responsibility for the organization’s finances, staffing, operations, program planning, development, implementation and evaluation. The Director also supports the Board in its strategic and fundraising activities as well as in developing strong community partnerships and providing leadership to the local community health care arena. Meals on Wheels Plus of Manatee. Come join an award-winning team! Meals on Wheels Plus of Manatee was voted the best non-profit in Manatee County and held the best fundraiser – Herald Tribune’s Readers’ Choice Awards, February 2019. The Development Administrator serves as a key resource to the VP of Development and CEO, to achieve fundraising goals and strategic initiatives. Major Responsibilities: 1. Utilizes Raiser’s Edge and other resources to optimize success in identifying, cultivating, stewarding, building a donor pipeline, and securing donations to achieve financial goals. 2. Develops and tracks donor-centered stewardship that is tailored for and meaningful to, individual donors and their families. Participates in the acknowledgement process, by keeping them current, personal and appropriate to the level of the gift. 3. Assists in the identification and management of individual prospects and groups of prospects through the development cycle. 4. Assist others to create materials needed to support and enhance the work of the gifts program. 5. Research and prepare grant applications for requests up to $25,000 for targeted needs of the organization. 6. Coordinate grant reports to foundations and organizations providing the information required within the given timelines. Maintain a schedule of grant applications, responses, and reports to ensure renewal, if possible. 7. Works with the VP of Development to assist in planning for major gift/capital campaigns. 8. Works with the VP of Development and CEO in scheduling donor visits and tours. 9. Assists with executing appeal mailings including data pulls, drop dates and other details required by Mail House. 10. May be asked to perform other duties as needed. Job Type: Full Time / Non-exempt (40 hours/week) / 8:30 AM – 5:00 PM Compensation: Commensurate with experience. Benefits include 12 paid holidays, 3 weeks paid vacation and partially subsidized medical benefits. Meals on Wheels Plus of Manatee is an equal opportunity employer with a drug free workplace. All applicants considered for this position are subject to a Level II background check.